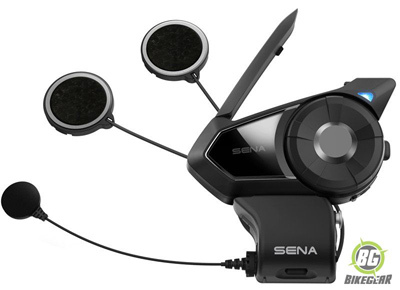 Sena Mesh Intercom™ technology is now here and ready to change your ride. 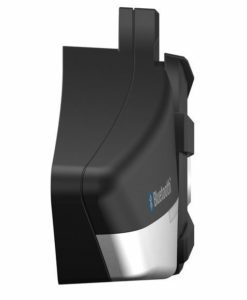 Simply press the button on top of the 30K to turn on public mode, and you will be automatically and instantaneously connected to a virtually limitless amount of 30K users within a mile range. This is a set for 2 Riders supplied with 2 units and mounting material for 2 Helmets. 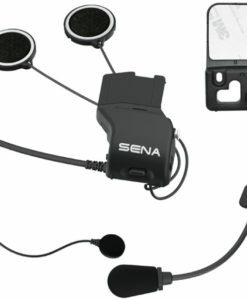 Sena Mesh Intercom™ technology is now here and ready to change your ride. Simply press the button on top of the 30K to turn on public mode, and you will be automatically and instantaneously connected to a virtually limitless amount of 30K users within a mile range. 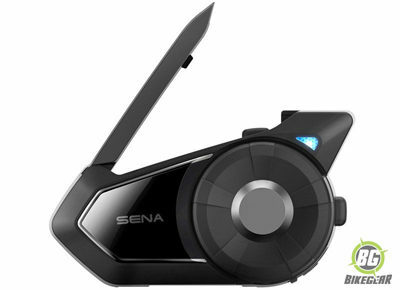 The Sena RideConnected App allows you to simply connect with riders all over the world through your mobile network. 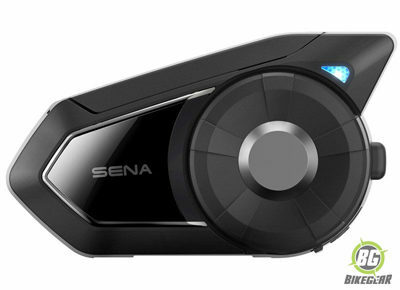 Answer phone calls, listen to GPS navigation, or jam out to the built-in FM radio all through the 30K. 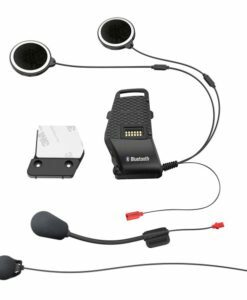 The 30K has a new quick charge feature meaning just 20 minutes of charging gets riders an impressive 5 hours of Bluetooth intercom use, or 3 hours Mesh Intercom™ use. 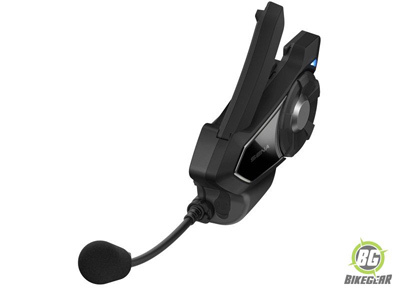 Once you’re on the road, complete control of the 30K can be done through hands-free voice commands. 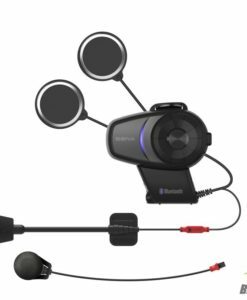 Intuitive technology ensures safe, controlled riding as you seamlessly move through music, phone, and intercom features. 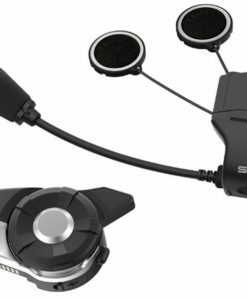 The water resistant 30K is compatible with Sena’s optional Handlebar Remote control as well as all of the 20S clamp accessories. 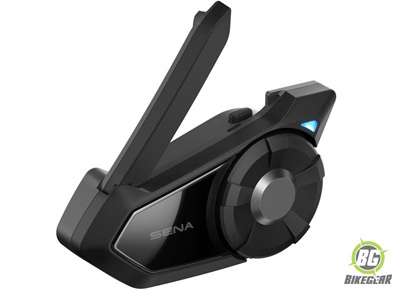 Click here for an in-depth review of all the features of the Sena 30K Bluetooth biker headset. 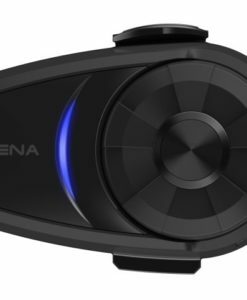 Sena 10S Motorcycle Intercom features stunning HD quality sound and One Touch Group Intercom™ all within a slimmer more elegant profile. This is a set for 2 Riders supplied with 2 units and mounting material for 2 Helmets. 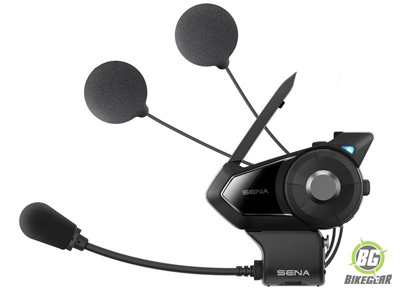 Sena Mesh Intercom™ technology is now here and ready to change your ride. Simply press the button on top of the 30K to turn on public mode, and you will be automatically and instantaneously connected to a virtually limitless amount of 30K users within a mile range. This unit is for 1 Rider and includes everything to mount on 1 helmet. FREE DELIVERY.